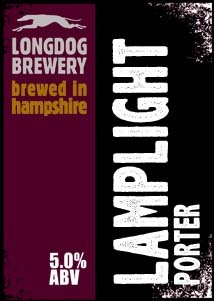 I'm going local here with Longdog's Lamplight Porter, although (local-ish) Vibrant Forest's Simcoe Pale might've edged it had I managed to find more! Beyond those, Hammerton's N1, Surrey Hills' Collusion and Siren's Love of Work all hit the spot. 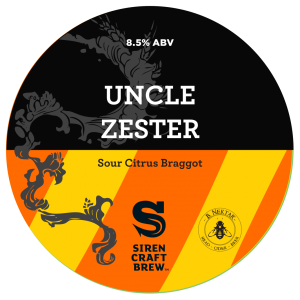 Siren/B.Nektar Uncle Zester with a honourable mentions to M&S/Adnams Mosaic Pale (a train beer favourite), BrewDog's Born To Die and Weird Beard Sadako Jack Daniel's BA. Not going to name a specific one but the Moor and Vocation ranges are both fantastic. It was also great to see Magic Rock's Cannonball arrive in the shiny format. The Funky Buddha beers that Craft Beer Co brought over were pretty special but I'm going with Cellarmaker's Coffee and Cigarettes, which was a highlight in Copenhagen this year. Mikkeller - Nelson Sauvignon (Reisling BA). Enough to reduce a grown man to tears, but is it beer? I don't care. The moment I tasted it, I went online and bought more. 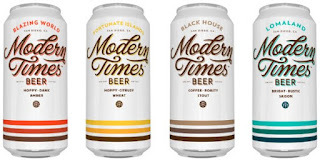 The Modern Times beers were all fantastic. Hope to see more of them on these shores next year. Really loved the Hawkshead/Crooked Stave Key Lime Tau, one of this year's Rainbow Project collaborations - all of which I enjoyed, actually. Next year's is shaping up nicely, too. Siren/B.Nektar Uncle Zester. This was a beer that really grabbed me from the first sip - the sweetness of the honey is married wonderfully to the gentle sourness of the Berliner style base (presumably related to Calypso). Despite being north of 8% ABV, I could easily drink more than one bottle at a sitting - don't try that at home, kids. Part of me is sad there's not much of this masterful creation left but another part (the part which suffers hangovers) will be glad to see the back of it! 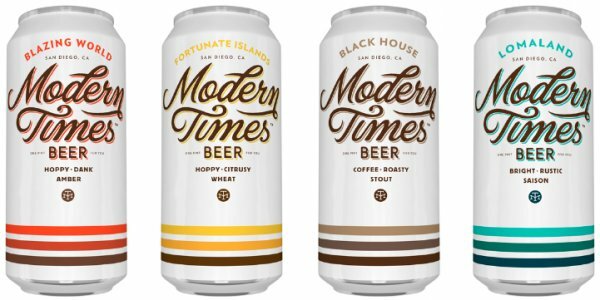 The rise in popularity of cans saw some great designs being used but there's a new (as yet, not canning) brewery who just completely nailed capturing everything their brewery is about in their design. That was Kew Brewery. Weird Beard's Defacer (Keg) - the first to feature their fantastic new foil branding. Absolutely loved the Mikkeller/Lindemans Spontanbasil screen-printed bottles. It suits the beer perfectly. The beer itself was a fascinating creation that really seemed to polarise opinion! Buxton have been consistently fantastic all year and seem to be able to work their magic across many different styles. A visit to the tap room in September cemented that and I certainly hope to visit again in 2016. Well I reckon Buxton's good buddies Omnipollo are pretty much brewing some of the most interesting and creative beers in the world right now. It already feels like Cloudwater have been around a while but they only launched this year (and I'm looking forward to sampling their winter range) - keep up the good work! Vocation's beers have been flawlessly good. 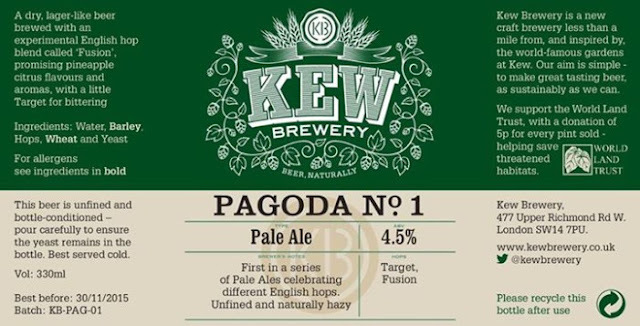 Up until recently I'd only tried the cans but a recent sample on cask confirmed those cans are no fluke. Ooh, this is a tough one but I'm going to plump for the Magic Rock Tap. Transport me there right away, please! I wrote about it here. I suppose that must go to Magic Rock Tap! IMBC - just seems to get better and better each year. Long may it continue. Marks and Spencer - great expansion of their range this year and their own-labeled beers have been very well selected. Spent many a fun Saturday at Bottle Shop, Bermondsey and its been great to watch them grow and grow but I'm giving the nod to the now award-winning (not so) newcomers Hop, Burns & Black. I'm not sure what it is about that place that makes you feel right at home whenever you walk in but whatever it is, the place has it in abundance. Just wish I lived nearer! Yet again, BrewDog got the most of my hard earned in terms of online spend. Their guest beer range and stream of interesting new releases keeps me coming back. 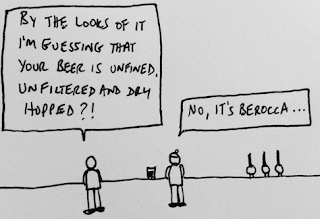 Ed's Beer Blog (very regular posts with fantastic, diverse content) with honourable mentions to Total Ales and Boak & Bailey's Beer Blog. There can only be one winner here for me and that's @twattybeer (twitter) - David's doodles are always on point and very funny (one of my favourites features below, with permission). 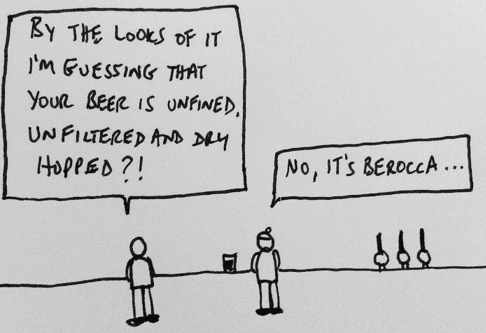 That would be BrewDog, again. Great engagement and solid, fresh content. Honourable mention to Leith's Pilot Beer (twitter) - their sense of humour is second to none.